There are endless rumors and rumblings surrounding every big comic book movie, and Marvel’s upcoming Captain America: Civil War is no exception. As the actors prepare for production to begin (Chris Evans publicly lamented shaving off his winter beard to get ready to reprise his role as Cap), we now have confirmation about one of the villains. The purple-masked Baron Zemo is one of Captain America’s most prominent enemies, and over the years there have actually be two incarnations to contend with. The first Baron was Heinrich Zemo, a Nazi scientist Cap fights during World War 2, and who ultimately perishes in combat. In Civil War, Bruhl will play the second version of the antagonist, Helmut Zemo, who is the son of the original, and who follows in his father’s footsteps looking for a spot of revenge. Helmut Zemo is an interesting case because he’s an ambiguous villain, one who can pass as a good guy when he needs to wants to, or at least when it suits him. It’s looking more and more likely that he’ll embrace some of this uncertainty in Civil War. In the arc in the comics, he essentially plays both sides, recruiting villains for the pro-registration side of the superhero conflict, at the request of Tony Stark and Iron Man, while he also helps Cap escape from custody. 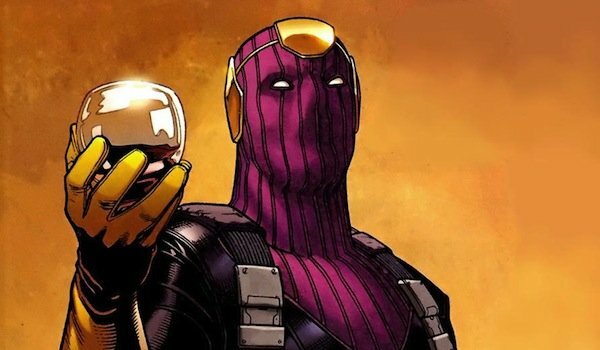 It remains to see how the Marvel Cinematic Universe makes use of Baron Zemo—they’ve never been opposed to tweaking stories to fit their needs—but given his role in the source material, he is certainly going to be an interesting character to keep an eye on. As we get closer and closer to the start of production on Captain America: Civil War, what we know is coming into increasing focus. We now know that Frank Grillo’s Crossbones character is responsible for the inciting event that leads to the government enacting the Superhero Registration Act, which requires superheroes to reveal their secret identities and register with the authorities. This causes a great divide amongst the powered people, and Captain America finds himself as the leader of the side that opposes this legislation, while Iron Man heads up the pro-registration faction. Whatever his precise role in this drama, Baron Zemo looks to have an important part to play, and we can’t wait to watch it all go down on screen. Captain America: Civil War hits theaters on May 6, 2016.